This Covington, Ky., High School business in Washington DC is another example of how the “Left” is guided by Saul Alinsky’s Rules for Radicals. Marxist garbage written in the 1940’s and 50’s on how to steal from the producers for redistribution to the poor, the homeless and today, most certainly, the millions of illegals who have invaded our borders. 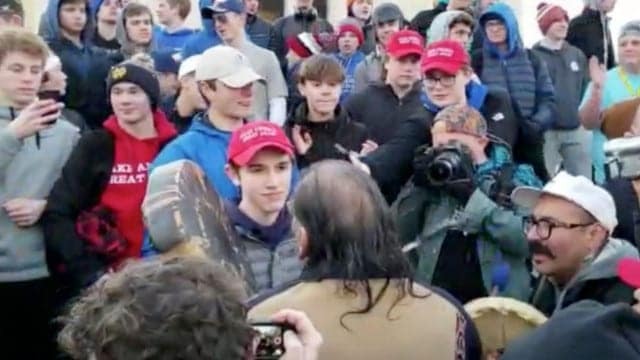 The media’s feeding frenzy over the Covington Boys followed Alinsky’s Rule No.13: “Pick the target, freeze it, personalize it, and polarize it.” By the misuse of “Twitter,” the SJW’s network, the task becomes easier. 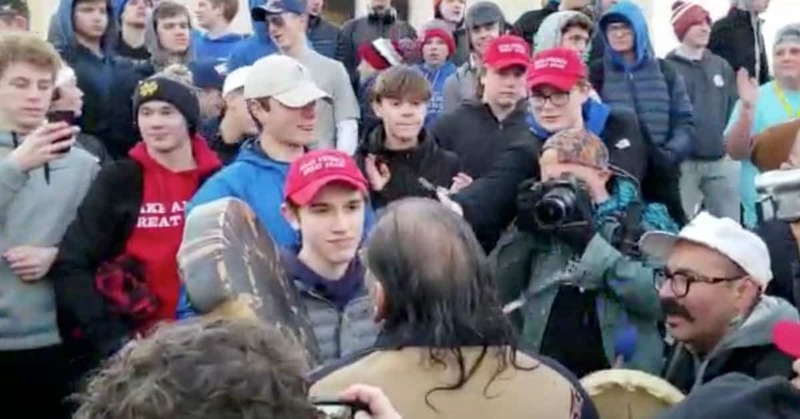 The goal of media is to cut off support for the Covington Boy’s by shaming them and their defenders thus isolating those awful Catholic Christian boys from any public sympathy. Alinsky said: “Go after people and not institutions; people hurt faster than institutions” thus the ‘Tweet’ threats to Covington HS student Nick Sandmann, his parents and others. Those “Tweets” are probably machine generated anyway. Thus, Sandmann permitted himself to be interviewed on the “Today Show” by network talking head Savannah Guthrie who asked him if “he felt the need to apologize.” To his credit, he said: “As far as standing there, I have every right to do so, My position is that I was not disrespectful of Mr. Phillips,” referring course to the Indian banging on his pots. Apparently, the humorless Democrats and Leftist media propagandists no longer understand the power of humor. It is being used against them by astute conservative observers and they don’t know how to respond. What’s the use of having good rules if the other guy can use them too?